It would seem that Summer seems to be getting later every year, and the past few weeks have been beautiful. For us inter-city guys the heat can come with it's burdens, so I'm always after a way to maintain a stylish appearance, whilst keeping cool. There's nothing worse than stepping out of an air-conned building and being hit by a wave of hot air. It can be great if you're lucky enough to be wondering around in shorts and a tee, but if you're running errands or dressed for work - you could probably do without it. You don't always have to grab flip flops and a pair of trunks in order to keep cool. These cropped trousers from ASOS are a brilliant way to stay looking sharp, but also stay out of the heat. The shorter length allow for airflow and the lightweight material won't weigh you down. 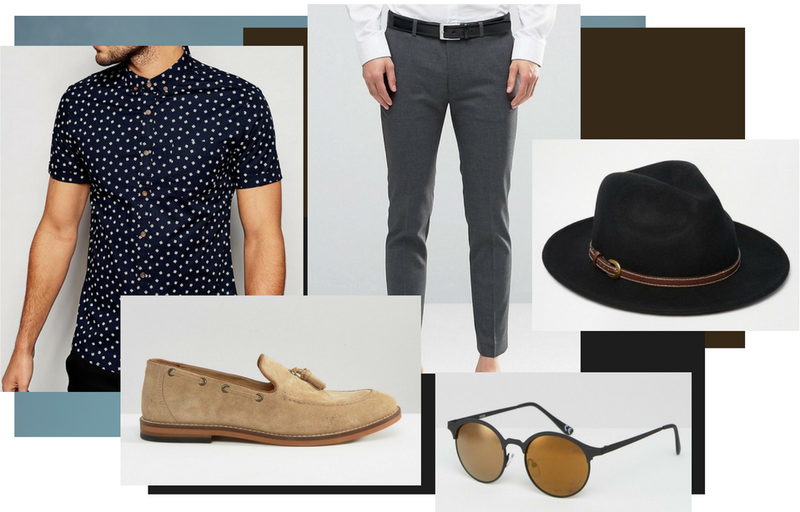 Parter them with a pair of loafers or canvas sneakers for this summer time look. I'd also invest in a pair of invisible socks. They are cut a lot lower than normal ankle socks and a perfect partners for a loafer in the summer. This shirt from ASOS has become a favorite of mine. I was gifted it last week and have already worn it twice. 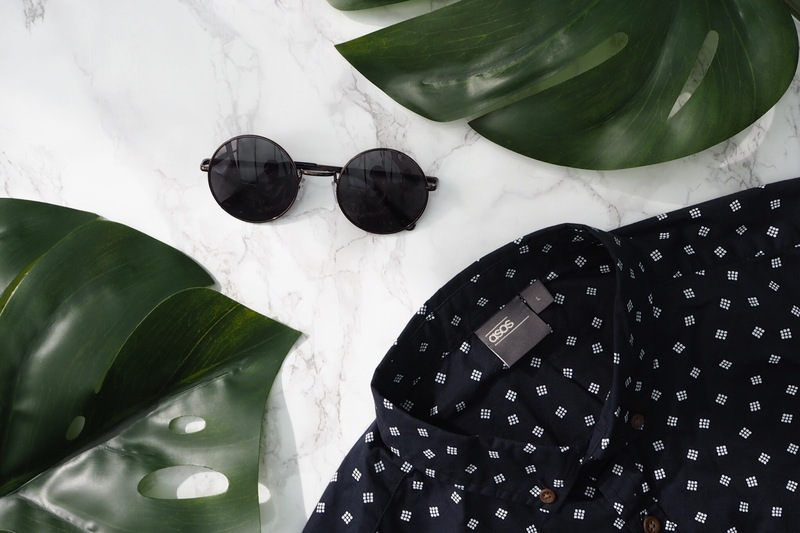 The slim cut and breathable fabric, make it perfect for the hot weather and the diamond print pattern livens it up and makes it stand out from your ordinary, block colour shirt. Open the collar, and cuff the sleeve when the heat steps up a level. To complete the look I decided to pick a black fedora hat. I'm a big fan of these and love the vibe they give off - although I haven't been brave enough to buy one just yet - they are the perfect accessory to finish any outfit this season.